If you have never been to an all-inclusive resort in the Caribbean, you do not know what you are missing. Unlimited food, drinks and fun are common at these destinations. If you are just about to embark on one of these trips there are a few things you should know. If you have a good travel agent they probably have supplied you with most of this information. After numerous trips to the Caribbean I have a few secrets to share that will help you get the most out of your vacation. 1. All the paper work you get in the mail or print online should be kept and brought with you on your trip. This information usually consists of your flight info, transfer vouchers and resort vouchers. When you get to the resort they will ask you for these vouchers. You can still prove you have a reservation but it can take a while for the hotel to get this sorted out. The same goes for the transfer voucher. The bus driver that takes you from the resort back to the airport will require this. I know this method sounds a bit archaic but that's just the way things are done at these places. 2. Generally the morning after you arrive at the resort you will have an orientation with your tour operator. These are generally very helpful and can answer a lot of questions. The host of the orientation is generally the representative that you will use to book tours with and the one that will handle any problems or complaints you have. I understand you are excited during the first day but take the 30 minutes to attend the orientation. 3. Shortly after you get to the resort try to reserve your ala carte resturants. You generally will get 2-3 sittings per week. Some restruarants will fill up quickly so book early to improve your chances. These reservations can be changed and you will not be charged if you miss one. If you can't make it, be polite and cancel your reservation so others can have a chance. Many people think since it's free it's ok to do whatever they want. Be respectful. 4. If you plan on taking any tours try to book these early in the week. Some tours only run a couples times a week so it's best to check this out sooner than later. This will help you plan your week so you can coast through the rest of your vacation. 5. Getting a chair close to the pool or near the best part of the beach may be difficult later in the morning. Many people get up early (yes, they are crazy) to eat and find their perfect spot. Some just leave their sunscreen and towel on the chair in order to reserve it. This is a controversial issue and some people will not like you for this. I've heard some resorts will not let you do this. It's pretty hard to police since you in the pool away from your chair. In principle, I would try to stay away from this method of dropping your towel and leaving. People will come and go throughout the day so you will have a chance at a good spot sooner or later. 6. Bring plenty of bandages, gauze, medical tape, aspirin, diarrhea medicine, and motion sickness pills with you. You will be doing a lot of walking in sandals which could give you blisters. The bandages will protect the blisters from rubbing. These places cook with different ingredients that can disagree with your stomach. Bouts of diarrhea are not uncommon. Most of this stuff can be purchased at the resort but you will pay dearly for it. 7. In order to stay healthy during your trip you should follow these sims rules. Always wear sunscreen. 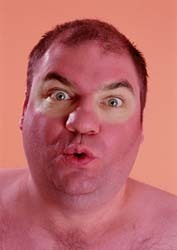 The sun is extremely hot in the Caribbean and painful sunburns will haunt your for the rest of the trip. Drink water in between all the alcohol. Getting dehydrated is a good way to lose a day of your trip sick in bed. If you like the fruity drinks ( piña colors, Bahamas mama, coco loco, etc) take it easy the first day. In some places these drinks are made with coconut milk or rich cream that can cause problems with your stomach.